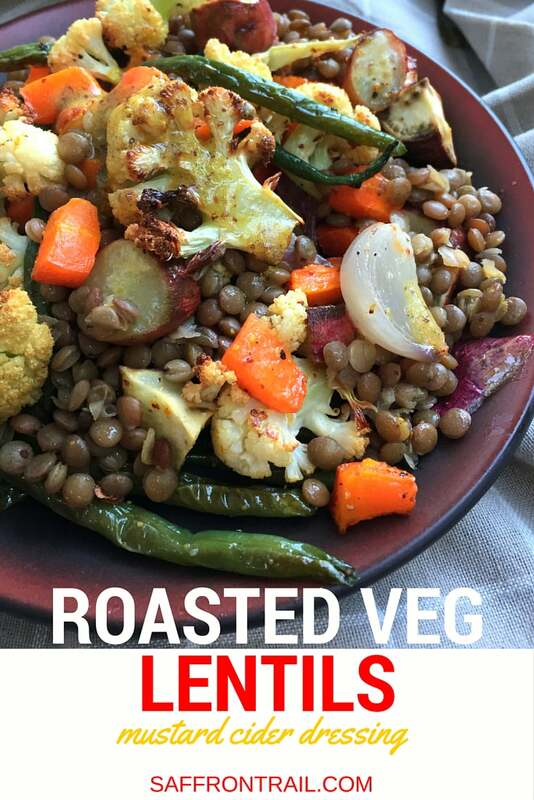 Roast Winter Veg with Lentils.…or How to get a vegetable hater to love vegetables! 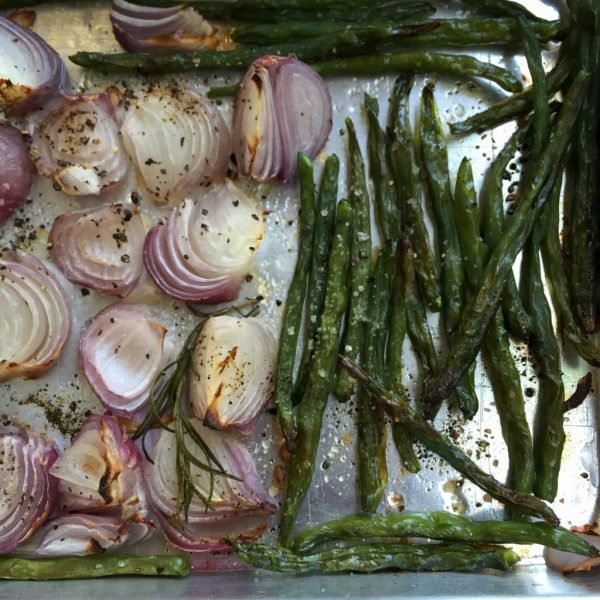 Roasting vegetables is nothing short of magic. 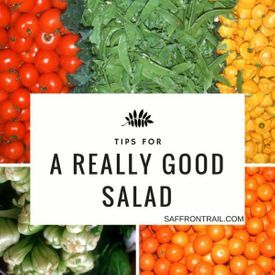 It coaxes out truly badass flavours from all kinds of vegetables. Have you tasted roasted onions? YOU SO MUST! A little splash of olive oil, a sprinkle of salt, 30 minutes in a hot oven. The outcome of this experiment summed up in 3 letters – OMG. 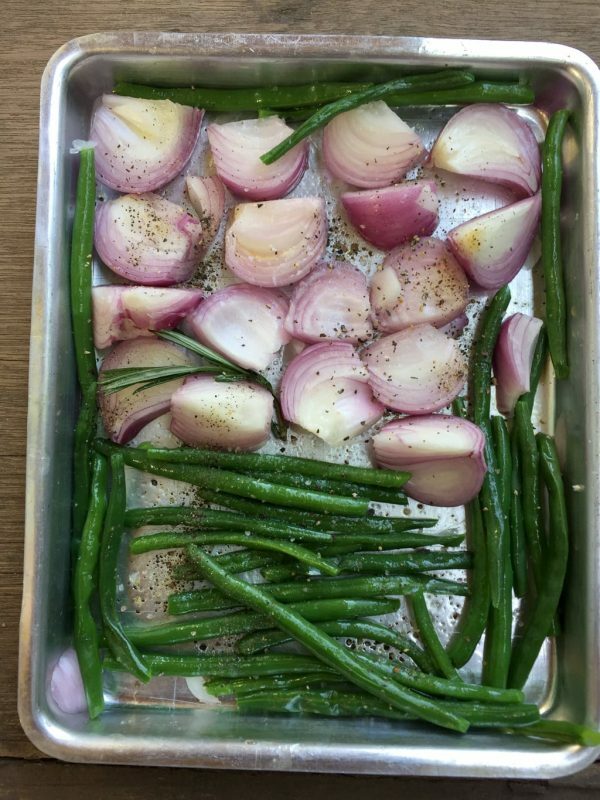 Ever tried roasting green beans? Parboil, blanche and wipe dry tender green beans. Same treatment as onions. Unbelievable flavour! Make sure you choose tender haricot beans and not the regular light green variety that is stringy with tougher seeds, which is not good for roasting at all. Subscribe to Saffron Trail Kitchen on YouTube. Learn quick and easy recipes. New video every Friday! Coming to the recipe featured in this post, it is the perfect vegan and gluten free main course you can serve at a dinner party. This even works as a salad that you can prep and put away the components ie. roasted veg, cooked lentils and salad dressing in airtight containers in the refrigerator and assemble this couple of times a week for a quick lunchbox or dinner for one. Experiment with vegetables in season in your region for the best tasting dish. I’m having this for a Sunday dinner. It feels good to have a clean, guilt-tree dinner after all the weekend indulgences. What’s your favourite dinner to end the week? PREP: Wash and soak the lentils in plenty of water for 4-5 hours. PREPARING THE ROAST VEGETABLES : Preheat the oven at 200xb0C. Prepare a large baking tray or 2 smaller ones, lined with parchment paper. Scrub the veggies well under water and wipe dry. Chop the carrots, sweet potatoes into even sized cubes, around 1.5 cm. Slice the cauliflower florets into bite sized florets. Peel and chop each onion into 8 wedges. Top and tail the beans. In a small microwave proof box, microwave on high for 3 minutes with 2 tbsp of water. Remove, refresh in cold water and wipe completely dry. 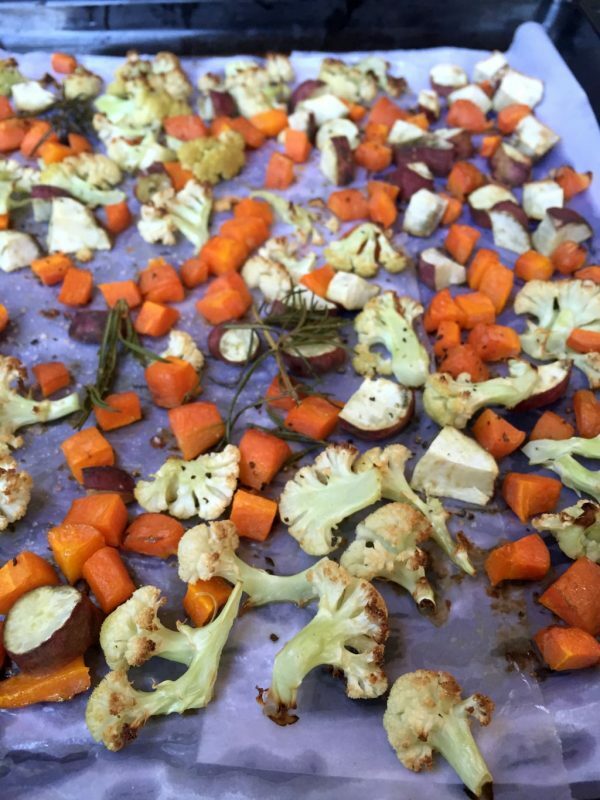 Lay the prepped veggies on the lined baking trays. 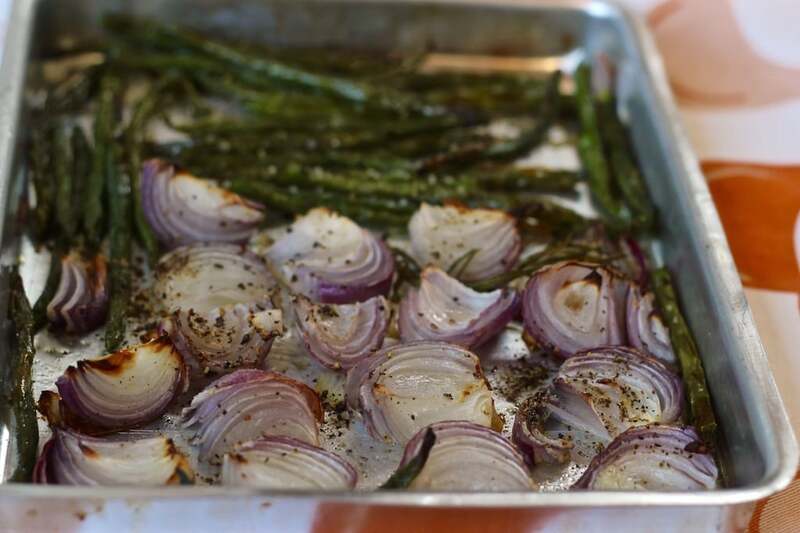 Use 1 tbsp oil per tray to drizzle over vegetables. 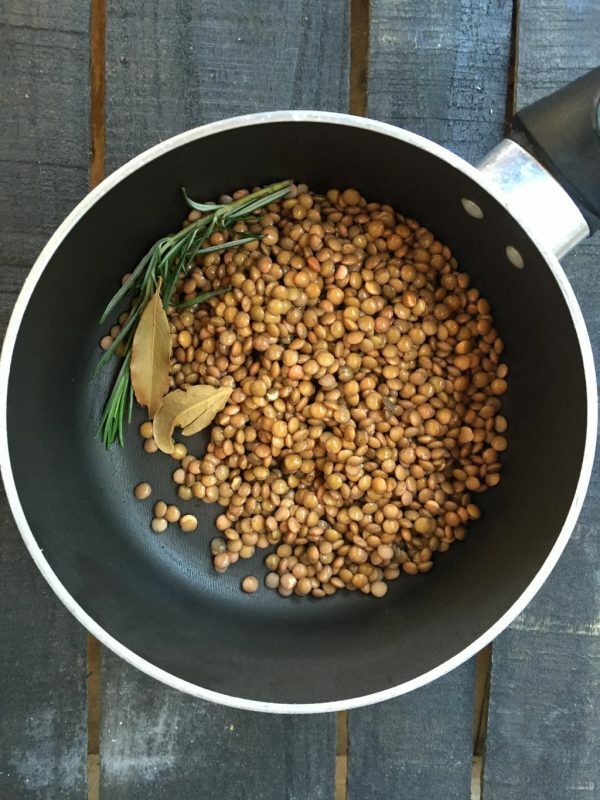 Sprinkle salt and pepper, throw in the sprigs of rosemary and toss them lightly and lay them out in a single layer. 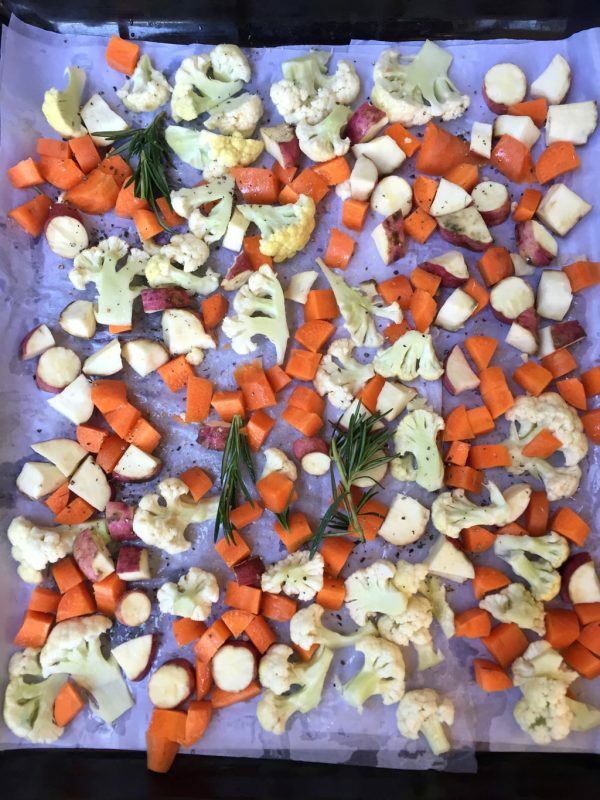 Keep to roast in preheated oven for roughly 40 minutes, until vegetables get golden spots and are nearly cooked. PREPARING THE LENTILS: Meanwhile, drain the soaked lentils and transfer to a saucepan. Add one sprig of rosemary, two bay leaves and bring to a boil. Simmer for 15 minutes or until cooked through. Don't allow the lentils to break up and turn into a mash. Keep a watch and check occasionally, draining off liquid and removing the rosemary and bay leaf when done. Drain all the water, toss in few drops of olive oil, season with salt and keep aside. PREPARING THE DRESSING: In a large bowl, whisk together the mustard and apple cider vinegar. Add the extra virgin olive oil in a thin stream with continuous whisking, until the dressing is thick and creamy. Season with a pinch of salt and pepper and give it a final whisk. If prepared ahead, store in the refrigerator in a small covered bowl until you need it to assemble the dish. 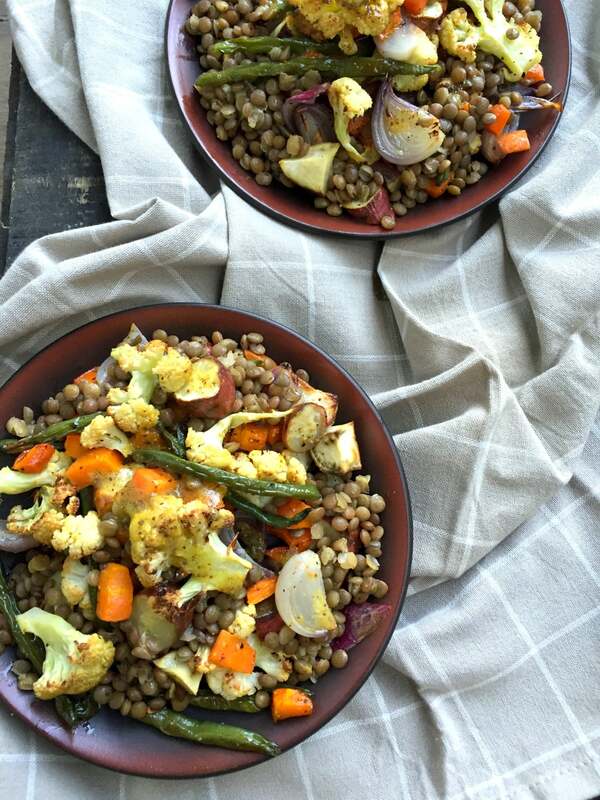 ASSEMBLING THE ROAST VEG WITH LENTILS: Toss the roasted vegetables in 2 tbsp of dressing. Toss the lentils in 1 tbsp of dressing. Divide the veggies between 4 plates. Top this with a portion of lentils. Drizzle all the leftover dressing divided between the 4 plates. Sprinkle some freshly ground black pepper over the top if you like. Call this a salad or an entree or a main course, this Roast Winter Veg with Lentils fits the bill for any course. Want to make it fancier? Add some crumbled goats cheese and some toasted crushed pistachios over the top to make it truly worthy of a feast. 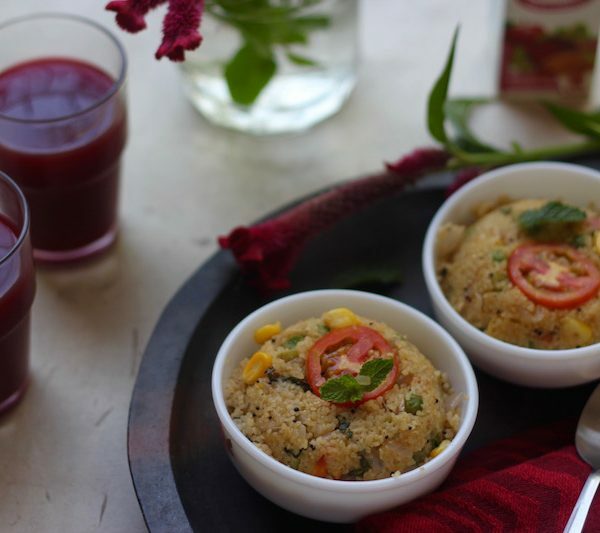 To make it a heartier main course, serve over a bed of quinoa or couscous for a super healthy meal. 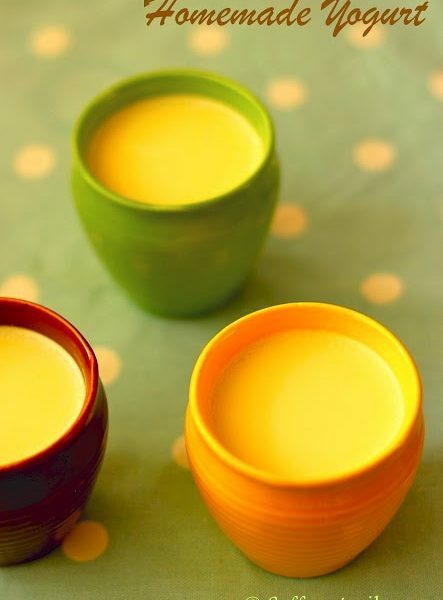 How to make yogurt in winters?